This week’s midwife comes straight from the headlines! Duchess Kate Middleton is once again suffering from Hyperemesis Gravidarum, and husband William has recruited the help of Lesley Page, one of Britain’s most senior midwives and recipient of a CBE (Commander of the Order of the British Empire). In her forty-plus years of practice, Lesley made her name as a women’s advocate, pioneering women-centered maternity care practices that reach beyond the UK. In 1993, she was part of a team that created the One-To-One Midwifery Model that operates by approaching every aspect of an individual woman’s life: culture, past experiences, family, health, etc., with specific evidence based practice to provide a unique, client-based experience. This attention to aspects of life that are often overlooked in maternity care has led to effective and efficient use of resources and a decrease in service duplication. 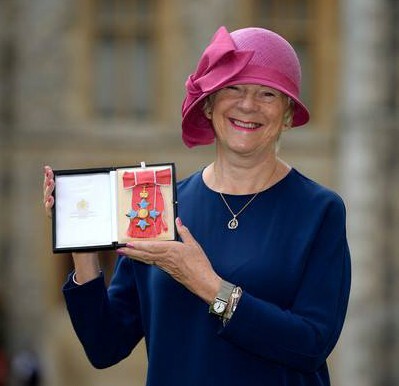 Lesley is currently president of the Royal College of Midwives, a professor at the University of Sydney and at the Florence Nightingale School of Nursing and Midwifery, and, of course, advisor to the royal family. In this video, Lesley discusses the One-To-One Model: http://www.oneworldbirth.net/videos/the-research/prof-lesley-page-on-1-1-midwifery-and-evidence-based-midwifery/.